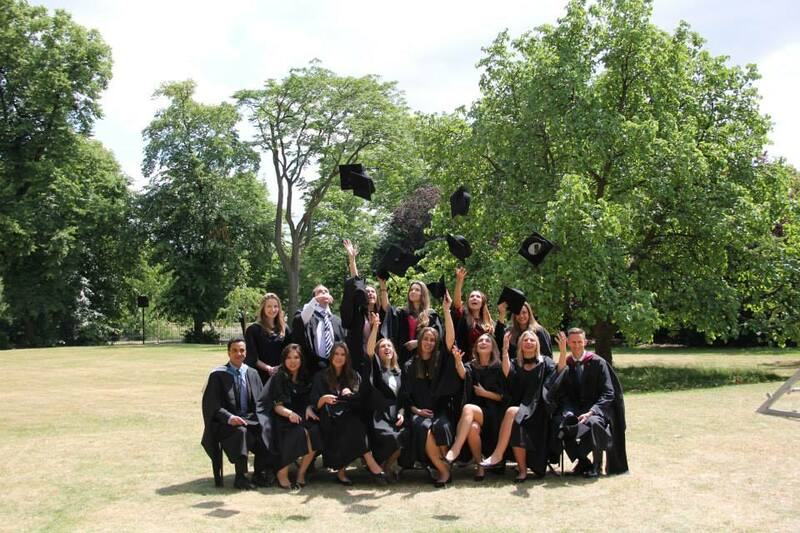 I graduated in December 2014 from Regent’s University London with BA International Events Management and very grateful for all opportunities and doors my degree has opened for me. While there is still a big debate whether you need one or not, I strongly believe that a degree is very important to get into the events industry and stand out in the competitive market place. But, getting a degree is not enough and you need to get experience and expand your network while at university. In this post I share with you some tips which I think helped me enormously during my degree. Living, studying and working outside your home country takes you out of your comfort zone and has several benefits. Not only you will perfect and learn a new language, you will also learn about the culture, become more independent, meet friends from all over the world and encounter other challenges you will need to sort out yourself. Employers highly value international experience and it will make your CV stand out. I did three internships in Germany, two in the events sector and one year study period abroad which were very unique and beneficial experience for my career today. At the time I thought it was challenging but looking back the experience was priceless. When you attend big trade fairs there is always a “student” registration tab. Unless you are going with your class and programme director never register as a student. Register as a freelancer or use the name of your current employer. To get the real feel of the industry you need to mingle with event professionals and attend same networking session and presentations they are attending. In general, student sessions are also on the last day of the show and the real “buzz” is on the first day. Of course don’t neglect student events only and network with your peers. I am sure you have heard it already, but still I can’t emphasise enough how important it is in our industry. There are several ways to network so find the way you are most comfortable with. If you think online, such as on LinkedIn and on Twitter are best, leverage these networks. If you think you come across better face-to-face, attend industry events or suggest to meet for a coffee, that way you can discuss about more specific topics. From experience – combining online and face-to-face is the best. I met many industry colleagues first online and we see each other time and again at events. Social media platforms give us the great opportunity to stay connected all year round. There are lots of competitions or scholarships for event management students from major industry associations and organisations, such as MPI and ICCA, to mention a few. In most cases they offer flight tickets and accommodation to major conferences and I highly recommend you applying for any of these! Some will require merely a cover letter, others an essay, a video or group presentation. In my first year I participated in the IMEX MPI MCI competition where I had to write an essay and because I won they sponsored my trip to IMEX Frankfurt to the MPI Future Leaders Forum. I was in my first year then and it was a fantastic opportunity and great motivation. As students we spend so much time on research for university projects, so why not to be able to reuse it afterwards? I always chose projects that could be somehow beneficial for me during my studies or afterwards. For example, conducting interviews with senior planners or researching the company you want to work for can open great opportunities for you because “you’ve done your research” and established first contact with someone senior in the company. So now you graduated, it is just the beginning! After you graduate keep in touch with your alumni association and teachers and try to get involved and “give back” to the university by mentoring a student, taking time to answer their dissertation questions, sharing your experience, attending alumni events and updating them about your news. I am sure as a student you attended a presentation by someone who inspired you, so be that inspiration to others! To conclude, events industry is very competitive. Sum up all bachelor and master degrees in the UK, including all the part time courses and the growing expectations of employers for work experience – you need to find out creative ways to stand out. Therefore, if you do decide to do an event management degree (which I can highly recommend) – make the most out of it!